Be the first to share your favorite memory, photo or story of Barry. This memorial page is dedicated for family, friends and future generations to celebrate the life of their loved one. 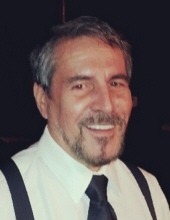 DURHAM: Barry Ciociola, 64, passed away on Wednesday, October 17, 2018 at SECU Jim & Betsy Bryan UNC Hospice Home in Pittsboro. He was born in Brooklyn, NY to the late Luca Girard Ciociola and Johanna Halkowicz Ciociola and was raised in Florida where he was a 1972 graduate of Plantation High School. Mr. Ciociola is survived by his wife, Cindy Collins Ciociola; son, Bradley Ciociola and wife Ashley; daughters, Jennifer Lee and husband Leo, Katherine Moore and husband Joey; sister, Donna Hilliard and husband Steve; brother, Jeffrey Ciociola and wife Carol; and grandchildren, Carden Ciociola, Adalynn Ciociola, Harper Lee, Bruce Lee. Mr. Ciociola was long-time resident of the Triangle where he was a local business owner dealing in collectible coins and paper money. He was past president and a long-term board member of the North Carolina Numismatic Association as well as a board member of the Blue Ridge Numismatic Association. The family will receive friends from 6 to 8 p.m. on Monday, October 22nd at Clements Funeral Home in Durham. A funeral mass will be held at 2 p.m. on Tuesday, October 23rd at St. Matthew Catholic Church with Rev. Thanh Nguyen officiating. Burial will follow in the church cemetery. Flowers are acceptable or donations may be made to UNC Lineberger University Cancer Research Center: (Print online form at https://unclineberger.org/waystohelp/giving/memorial-honor/gift-form and mail to: UNC LCCC, CB#7295, Chapel Hill, NC 27599 ; or Reelin for Research: 1852 Banking Street #9333, Greensboro, NC 27408. The family is being assisted by Clements Funeral and Cremation Services, Inc. in Durham. Online condolences may be sent to www.clementsfuneralservice.com. To send flowers or a remembrance gift to the family of Barry Ciociola, please visit our Tribute Store. "Email Address" would like to share the life celebration of Barry Ciociola. Click on the "link" to go to share a favorite memory or leave a condolence message for the family.